Fancy to try a digital avatar cosplay with your images? 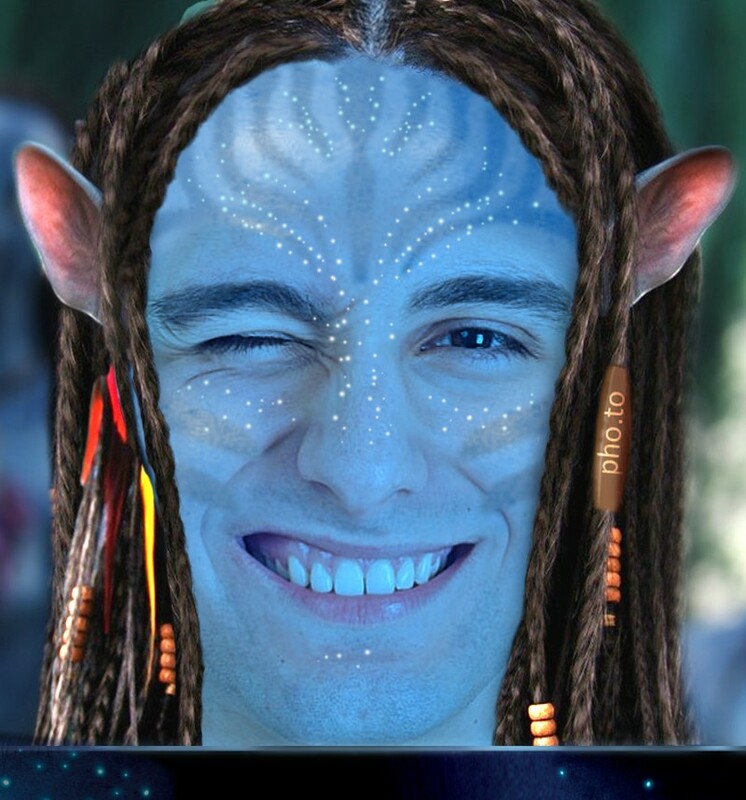 We were so inspired by Cameron’s thrilling movie that made this Na’vi avatar creator. 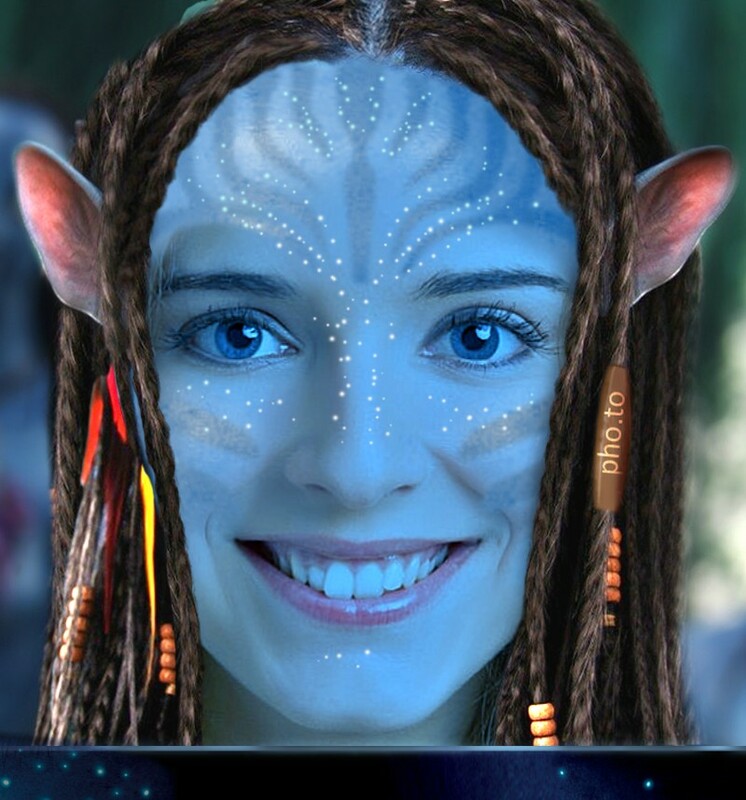 This cool face photo effect allows you to put your portrait in a hole and make yourself a Na’vi, an attractive blue-skinned alien from Pandora. Of course, it was inevitable. 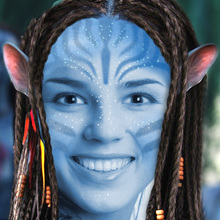 With all the rage over James Cameron’s billion-dollar epic science fiction movie, it was only a matter of time before fans of Avatar started dressing up as if they were blue Na’vi. We guess that a Na’vi costume must be particularly challenging to make, and the good ones are really quite impressive. 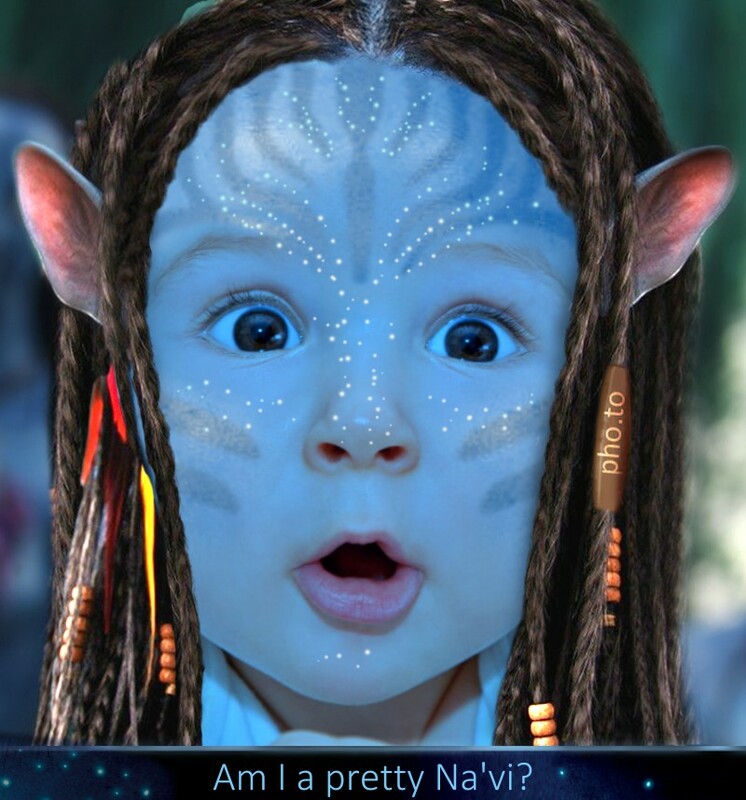 At the same time, with our funny face photo editor you may create a cool gallery of digital Na’vi cosplay images. Wonder how to avatarize yourself? Let's make this stunning face effect photo collection in a few steps. Just upload your image from computer, by URL or from Facebook and turn yourself into Avatar, an inhabitant of Pandora moon. Na’vi yourself and you’ll become humanoid in appearance with a blue striped skin, pointed and mobile ears, large amber eyes, and a catlike nose. Appreciate the idea of a virtual cosplay? Then have a look at our other online face photo effects like Gollum or Yoda.